Conference Series LLC Ltd extends its welcome to 42nd Nursing and Healthcare Congress during October 19-20, 2018 at Ottawa, Canada with a theme “Inspiration, Motivation and Collaboration in the field of Nursing”. 42nd Nursing and Healthcare Congress is unique forum to bring together worldwide distinguished academics in the field of nursing and healthcare, public health professionals, nurse educators, researchers, nurse managers, physicians, paediatricians and healthcare professionals provides the ideal environment to disseminate and gain current knowledge in the area of Nursing and Healthcare. Nurses and other healthcare professionals will have the opportunity to network with colleagues and exhibitors; discuss best practice research, safety-related outcomes, competencies, and challenges. Nursing congress aims to discover advances in health practice, management and education in relation to health disparities as well as a breadth of other topics. According to the reports, Total spending on health care of Canada in 2016 amounted to an estimated $206 billion, or 11.3 percent. Health care’s share of GDP is expected to increase marginally by 2018, to 11.6 percent. Provincial and territorial governments are forecast to spend $135 billion in 2015, accounting for 65% of total health expenditure in the country. Nursing Conference aims to discover advances in healthcare practice and management and education in relation to health disparities as well as a breadth of other topics. According to the reports, Total spending on health care of Canada in 2016 amounted to an estimated $206 billion, or 11.3 percent of gross domestic product (GDP). Spending is forecast to rise by an average of 4.5 percent a year in 2014-2018, to $464.3 billion. Health care’s share of GDP is expected to increase marginally by 2018, to 11.6 percent. Provincial and territorial governments are forecast to spend $135 billion in 2012, accounting for 65% of total health expenditure in the country. Provincial and territorial government health care spending continues to vary by province, with spending per person expected to be highest in Newfoundland and Labrador and Alberta, at $5,190 and $4,606, respectively. Quebec and British Columbia are expected to have the lowest health expenditure per capita, at $3,513 and $3,690, respectively. Ottawa has 97 universities and 162 hospitals, hospitals represent 30% of the total dollars spent on health. In 2013, spending in this category is expected to grow by 2.6% to reach $62.2 billion. Ottawa contains 128,277 health care professionals as Canada’s supply of doctors, nurses, hospital beds, and acute care beds is quite low relative to the size of its population compared with other OECD economies. There were 1.9 doctors per 1,000 population in 2011 and 2.1 hospital beds for the same population size. The Nursing Practice requires specialized knowledge, skill, and independent decision making. There are about 421,093 professionally activated nurses in CANADA, In Ottawa there are 4,362 registered nurses regarding the statistics of 2016. Between 2016 and 2018, the number of licensed NPs in Canada more than doubled, increasing from 800 to 1,626 (Canadian Institute for Health Information [CIHI] 2019). This figure, however, is an underestimate of the NP workforce as the numbers do not include ACNPs from all Canadian jurisdictions. Until recently, in some provinces ACNPs have not been licensed, and therefore it is not currently possible to determine how many exist in Canada. It is also difficult to ascertain the exact number of CNSs in Canada because there is no protected titling or standard credentialing mechanism. 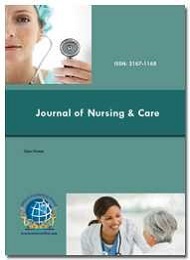 Based on self-reported CNS data, the number of CNSs decreased between 2016 and 2018 from 2,624 to 2,222, accounting for about 1% of the Canadian nursing workforce (CIHI 2010; CNA 2006). There are many types of nursing like Cancer Nursing, Heart & Cardiovascular Nursing, Pediatric Nursing, Surgical Nursing, Dental Care Nursing, Clinical Nursing, Critical Care & Emergency Nursing, Women Health Nursing, Adult Health Nursing, Community health nursing, Forensic nursing, Family Nursing, Gastroenterology nursing, Palliative care nursing, Nephrology nursing, Occupational health nursing, Oncology nursing, Per anesthesia nursing, Perinatal nursing, Perioperative nursing, Psychiatric and mental health nursing, Veterinary nursing, Rehabilitation nursing. There are about 20380000 register nurses all over the world, there are about 30,000 professionally activated nurses in CANADA, and in Ottawa there are 3152 registered nurses regarding the statistics of 2015. 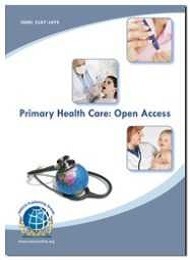 The 42nd Nursing and Healthcare Congress to be held at Ottawa, Canada during October 19-20, 2018 hosted by Conference Series Ltd through the theme " Improving the Art and Science of Nursing and Healthcare ", Nursing Congress aims to discover advances in health practice, management and education in relation to health disparities as well as a breadth of other topics. According to the reports, total spending on health care of Canada in 2016 amounted to an estimated $206 billion, or 11.3 percent of gross domestic product (GDP). Spending is forecast to rise by an average of 4.5 percent a year in 2016-2018, to $464.3 billion. Health care’s share of GDP is expected to increase marginally by 2019, to 11.6 percent. Provincial and territorial governments are forecast to spend $135 billion in 2019, accounting for 65% of total health expenditure in the country. Ottawa has 37 universities and 142 hospitals, hospitals represent 30% of the total dollars spent on health. In 2016, spending in this category is expected to grow by 2.6% to reach $62.2 billion. Ottawa contains 128,277 healthcare professionals as Canada’s supply of doctors, nurses, hospital beds, and acute care beds is quite low relative to the size of its population compared with other OECD economies. There were 1.9 doctors per 1,000 population in 2016 and 2.1 hospital beds for the same population size. Ottawa is the capital city of Canada. It remains on the south bank of the Ottawa Waterway in the eastern bit of southern Ontario. Ottawa outskirts Gatineau, Quebec; the two frame the center of the Ottawa– Gatineau statistics metropolitan range (CMA) and the National Capital Locale (NCR). Starting at 2016 Ottawa had a city populace of 934,243 and a metropolitan populace of 1,323,783 making it the fourth-biggest city and the fifth-biggest CMA in Canada. Established in 1826 as Bytown, and joined as Ottawa in 1855, the city has developed into the political focus of Canada. Its unique limits were extended through various extensions and were at last supplanted by another city consolidation and amalgamation in 2001 which fundamentally expanded its territory region. The city name "Ottawa" was picked in reference to the Ottawa Stream, the name of which is gotten from the Algonquin Odawa, signifying "to exchange". Ottawa is the most instructed city in Canada and is home to various post-optional, inquire about, and social establishments, including the National Expressions Center, the National Display, and various national galleries. Ottawa has the most elevated way of life in the country and low joblessness. It positioned second broadly, 24th worldwide in the personal satisfaction list and is reliably evaluated the best place to live in Canada. There are about 421,093 professionally activated nurses in Canada; In Ottawa there are 4,362 registered nurses. 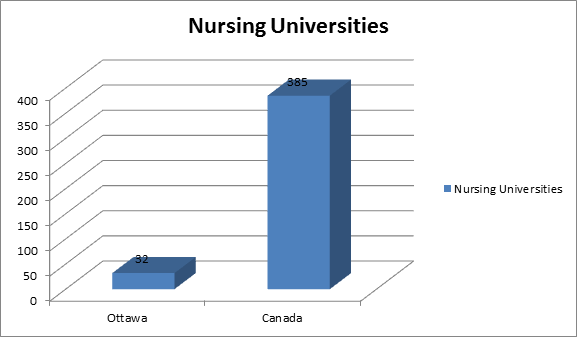 There are 32 Nursing universities in Ottawa and 385 universities in Canada. Ontario has 171 hospitals, hospitals represents 30% of the total dollars spent on health. In 2016, spending in this category is expected to grow by 2.6% to reach $62.2 billion. Ottawa contains 128,277 health care professionals as Canada’s supply of doctors, nurses, hospital beds, and acute care beds is quite low relative to the size of its population compared with other OECD economies. There were 1.9 doctors per 1,000 population in 2016 and 2.1 hospital beds for the same population size.